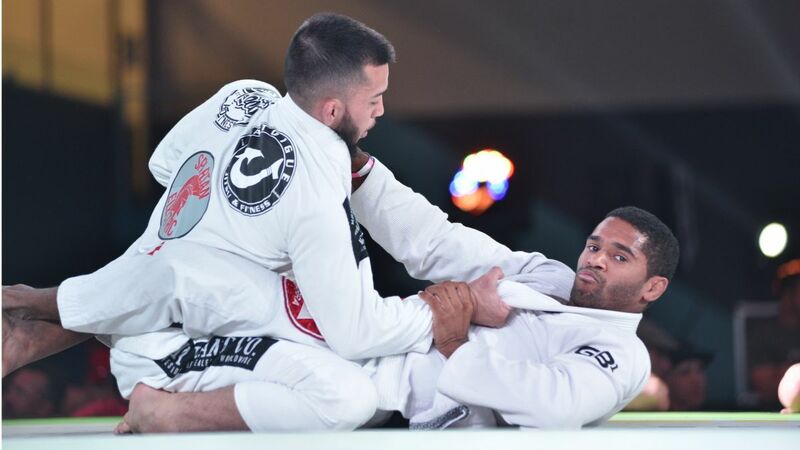 It was an action-packed night of jiu-jitsu in Scottsdale, AZ this evening with 35 sub-only super fights and Gabriel Revoredo against Gerson Atoigue in the main event of Fight To Win Pro 75. The 150-pound black belts showed tremendous respect for each other’s games, as neither opened up much during the 10-minute match. Revoredo was quick to jump closed guard right out of the gate and worked to establish his grips to sweep. Atoigue stayed very low, however, and maintained a solid base throughout the match to prevent his opponent’s sweep attempts. In the final seconds of the match, Atoigue stood to open the guard but Revoredo used the chance to open it up himself and attack a leg just before the final bell rang.